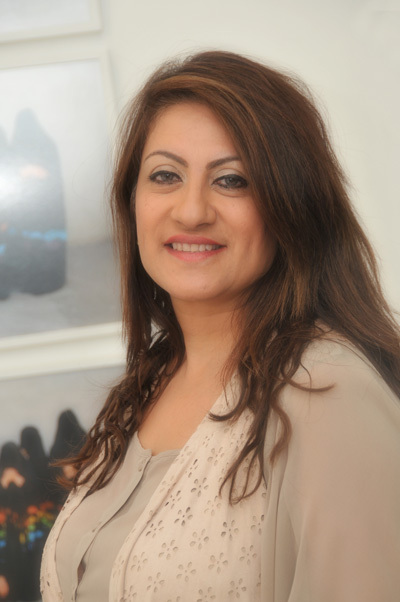 Faiza Saeed is the first mosaic artist in Bahrain. Faiza grew up with a passion for art having dabbled in painting and collage making she is mostly inspired by her brother the Bahraini artist, Abdulhameed Saeed. As a child she was exposed to his surreal paintings that went on to influence her work. Faiza's love for mosaics started from the moment she laid eyes on them when visiting museums in Britain, Italy, and Spain. Faiza Saeed continues to experiment with Mosaics, first on tables and wall pieces, and soon will be building her first wall installation piece. Faiza continues to sell her work in markets, at exhibitions, and conducts weekly classes for beginners. She also customizes tables for cafes around the Middle East, and collaborates with home owners on wall fixtures for their homes and gardens. Ravenna School of Mosaic, Italy. Obai and Hill is proud to represent Faiza Saeed Mosaics as one of their clients. For more information on classes and to make orders contact us info@faizasaeedmosaic.com.